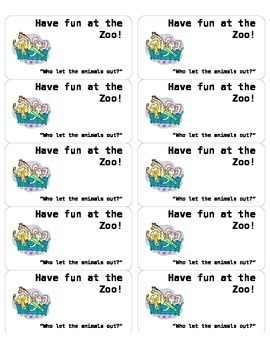 To prepare for your upcoming field trip to the Zoo, print these labels to help make the day go smoother. We want to make sure all of my parents have a fun and safe time. I have created some name tags for the students, chaperones, and a label for the snack I am providing for them.